Dr. Reitman received the Emerald Society 2000 Humanitarian of the Year Award, the Healthy Mothers-Healthy Babies 2002 Honorary ‘Mr. Mom’ Award, the Florida Medical Association’s 2002 Harold S. Strasser, M.D. Good Samaritan Award, and AASCEND’s 2016 award for Significant Contributions in Development. He is Fellow of the American Academy of Orthopaedic Surgeons, the American College of Surgeons, and the International College of Surgeons. He is also the past Chairman and President, and current Board Member of The Boys and Girls Clubs of Broward County. Recent speaking engagements include giving the keynote address with Tim Shriver for the AADMD at the Special Olympics in L.A., presenting at the USAAA World Conference, alongside other neurodiversity advocates including Temple Grandin, speaking at the 2016 AspenBrainLab hosted by the Aspen Institute, delivering a keynote presentation at the Neurodiversity Leadership Conference, hosted by AASCEND and San Francisco State University, and presenting for Florida Atlantic University’s CARD Autism Speaker Series. 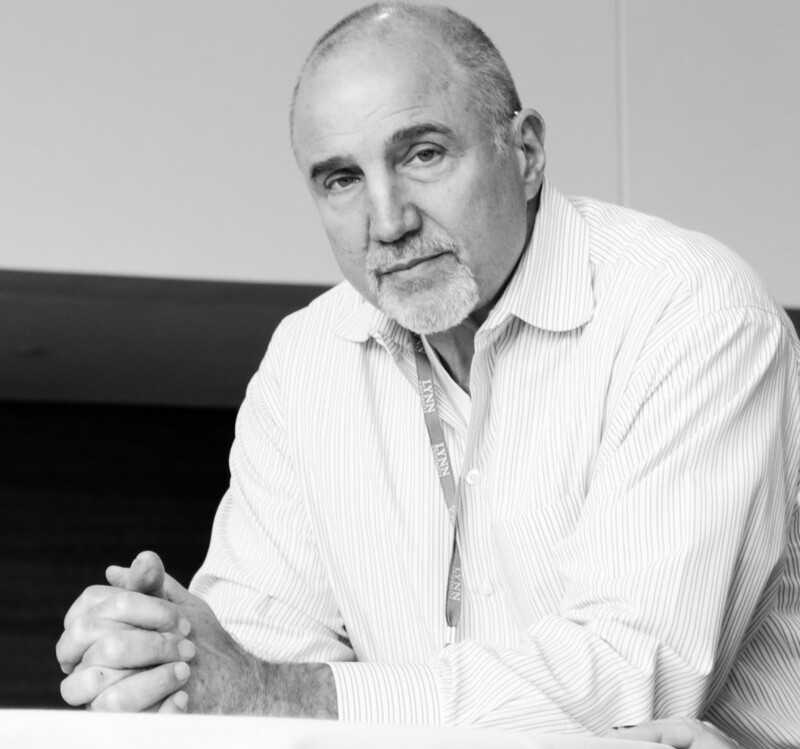 He currently lives in Fort Lauderdale and is the proud father of Rebecca, the inspiration for Aspertools. Harold “Hackie” Reitman, M.D. has the unusual distinction of combining a distinguished medical career as an orthopedic surgeon with an admirable record in the ring as a professional heavyweight fighter, known as the “boxing doctor.” Hackie Reitman won the 1971 Lowell New England Golden Heavyweight Gloves Championship during his first year of medical school at Boston University. He did not turn professional, however, until 1988 at age 38, following the life saving surgery his daughter Rebecca survived at the age of four. As a way of giving back, Hackie donated all his purses to children’s charities, and compiled a record of 13 wins (11 by KO), 7 losses, and 6 draws. In 1991, he fought a televised 10 round bout against Tim Anderson for the NBA Independent Continental Cruiserweight Championship, knocking his opponent down twice in the ninth round. 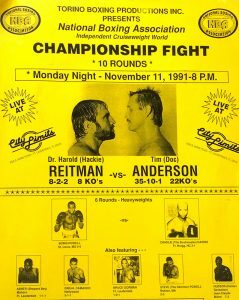 Hackie Reitman’s last professional fight was in 2002 at age 52 in a scheduled 10 rounder, which he won by knockout in the third round against a two time Golden Gloves champion. He has also sparred with 38 world champions and numerous boxing legends in his many decades in the ring, including Emile Griffith, Roberto Duran, Pinklon Thomas, Michael Nunn, Hector Macho Camacho, Freddie Pendleton, Leslie Stewart, Trevor Berbick, and Tim Witherspoon, to name a few. A product of the 5th St. Gym, Hackie Reitman was trained by his mentor and friend, fellow inductee into the Florida Boxing Hall of Fame, Tommy Torino, and is producing a documentary film about another longtime friend and Florida Boxing Hall of Famer, Angelo Dundee. In 2002, he was inducted into the Broward County Sports Hall of Fame and, in 2011, he was inducted into the Florida Boxing Hall of Fame. He continues his work for children with the Boys and Girls Clubs of Broward County, and other children’s causes, as well as serving as a goodwill ambassador for boxing. The “Fighting Surgeon” Hackie Reitman, the pro-heavyweight orthopedic surgeon, talks to Spencer on NBC’s Good Morning America. Profile of “boxing surgeon” Harold ‘Hackie’ Reitman, M.D. as he prepares for an upcoming fight against Roberto “hands of Stone” Duran in a 1991 exhibition benefiting a Florida charity for sick children.